Beautyblender's beloved charcoal-infused make up sponge and brush cleanser is now available as a bumper-size Solid Cleanser Pro. Delivering stellar cleansing prowess, just massage a small amount into a damp sponge or brush, to lift away every last scrap of make up for a squeaky clean and pristine kit. A great way to swiftly and effectively clean your brushes, so they don't harbour any blemish-causing bacteria. 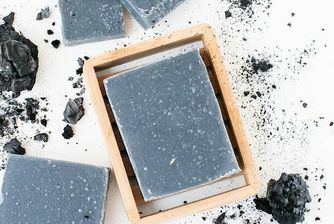 This charcoal-infused solid cleansing bar for brushes and sponges not only lasts for ages, but also has a gorgeous lavender scent (turning your brush cleaning into a mini aromatherapy session). With its new jumbo size and new formula, it also comes with a silicone scrubbing pad to (gently) put your brushes and sponges through their paces, dislodging every last scrap of dirt and make up. Set beautyblender out to dry completely in a clean, well-ventilated area and re-use. beautyblenders need light and air to avoid growing mold. Wet sponges should never be stored in a ziploc bag, a drawer, or any closed space. Use the lid of your canister as a drying pedestal, and set your damp blender on it. 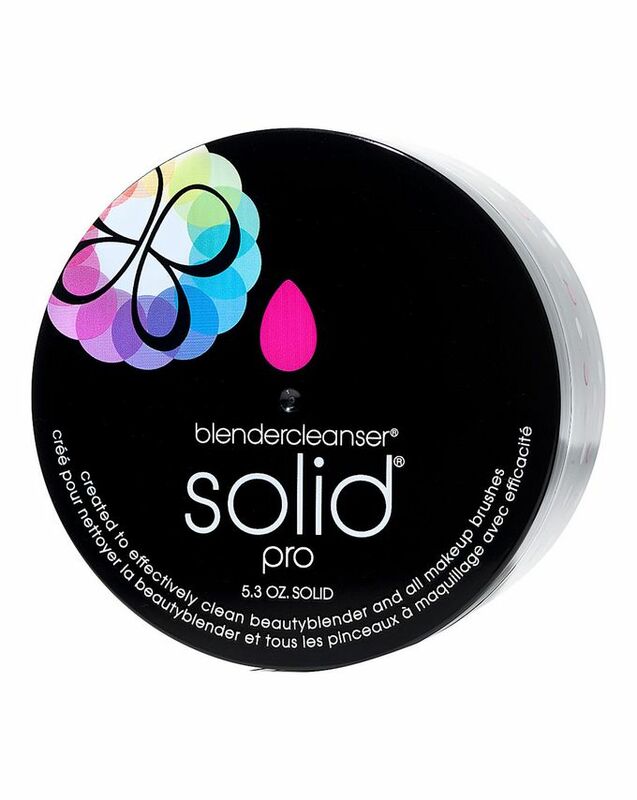 Allow the blendercleanser solid to dry on the silicone pad. This is the best cleanser out there. I’ve used to wash my Beauty Blender and my brushed with the white small one, but this one has a better value. It lasts over a year for me and it’s amazing. Love it.